If they are generally fine with you watching them or even willing to teach you how to solve the cube, there are things you'd better NOT say to them. 1. "I could solve it when I was a kid but I forgot how to do it"
Solving a Rubik's cube is like riding a bike. You do not forget it. At least not the whole of it. Were you solving it layer by layer? Corners first? If you had a method to solve it, then you would at least remember the steps you were using to solve it. If you simply played with it and solved it once, the cube was probably not scrambled enough or you got very lucky. 2. "I used to peel off the stickers"
Peeling off the stickers is actually a clever way to "hack" the cube but if you say it to speedcubers, they will imagine you doing it to their favorite cube and it hurts them deep inside them. Also, in case you wonder, there is no way you can peel off the stickers and set them back as fast as a good speedcuber solves the cube (unless you can do it in less than 10s). 3. "I will scramble the cube so good that you won't be able to solve it"
Sorry, but this won't happen. Speedcubers can solve the cube no matter the scramble. In the same category, be aware that there is very little chance that speedcubers are going to try to undo a scramble (wether they are watching you scramble the cube or not) and that a 20-move scramble can be as good as a 200-move scramble. 4. "Isn't this an old toy?" Who said old meant bad or outdated? Have people stopped playing football because it is getting old? Have people gotten fed up with athletism because, let's be honest, this is getting very old now? People have different hobbies and the Rubik's cube is just as good as any. Oh and in case you wonder, this puzzle was invented in 1974 and was very popular in 1980. It then disappeared a bit and came back with the internet (the internet made it easier for people to find the solution, share their method, connect together, etc...). 5. "You need to be an alien to solve this thing"
I know what you mean but no, you do not need to be an alien to solve the cube. Actually, you don't need to be good at maths either. Just a bit of determination and a good teacher will do it. There are plenty of youtube videos and tutorials on the web, the hardest part is to find the good ones. If this article inspired you, here is a cube for you. This one called the "ZhanChi" is the current best cube and was used for many world records. You can have it in black, white or even stickerless (the stickerless cubes are not allowed at competitions though). You know this was a fun and yet informative article; a good read. It gains two thumbs from me and yep...a rating. Incidentally, I never have been able to solve the cube and I've tried a a few time. At best it has merely givn me an excuse to pour a gladd of wine. Comment from a speedcubing forum (I change the wording of point 3 a bit after this comment): 1. "You got very lucky", you don't just get lucky. You won't ever solve the cube without trying just by being lucky, the chances are wayyy too small. If someone solved the cube by mistake it won't just him being lucky, it will be the whole world being lucky for just being on the same planet as a someone who accidentally solved the cube. The chances are very close to impossible. 2. There's nothing clever about peeling off the stickers. Speed-cubers hate when people say it not because they imagine someone doing it to their cube, speed-cubers aren't crazy. I bet most speed-cubers hate it because they just hear it all the time and it's just not funny. 3. Actually many times scrambles can be very easy, a lot of times my friends will scramble my cube in a way that will leave many blocks still intact, allowing me to do easy x-crosses. For a scramble to be hard the scrambler must make sure he scrambles all the layers. Haha!!! Very funny article!! Definitely a thumbs up! This one is going to twitter! Actually, I believe the cube lost some popularity in the 90'. The first world championship took place in 1982 but the next one was in... 2003. More than 20 years without a world championship. Today, its popularity is incredible with more than 20 000 people having participated in at least 1 official competition. Thank you for this great article adragast! 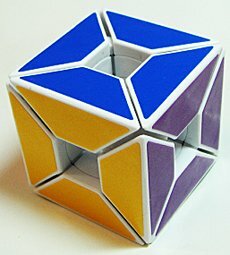 I used to work hard as a kid to solve the cube. Thank you for bringing back a good childhood memory! You're very welcome, thanks for your comment. I used to play with it as a kid too and could not solve it for a long time (I finally learned how to do it when I was a student). Thanks! Actually, it is easier than it seems if someone takes the time to show you how to do it and help you remember the different algorithms. But well, it does take a bit of time and a lot of motivation. "Isn't this an old toy"!! Lol! A weird question indeed :) Nice post, thanks for sharing adragast. Great post adragast - I had a cube the first time they became hugely popular and I never could solve it. I even bought a paperback book to teach myself but still couldn't do it. So I really admire anyone who does! I'm glad it's back in vogue - maybe I'll get myself one and have another go! Thanks for your comment. It is definitively a tricky puzzle to solve. Websites with animations or youtube videos may be easier to follow than a paperback book. 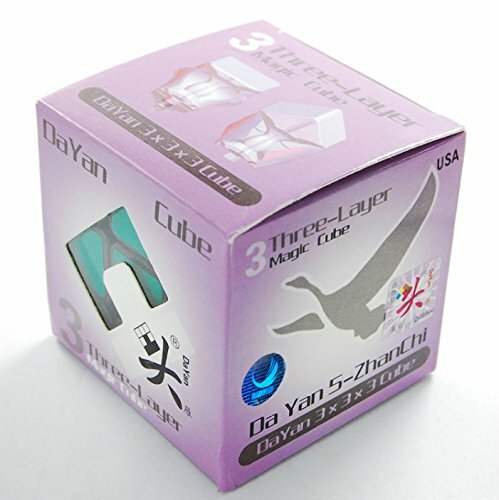 Don't hesitate to get a Zhanchi cube as it is cheap and easy to turn.